The original early 19th-century interior designs, many of which survive, include widespread use of brightly coloured scagliola and blue and pink lapis, on the advice of Sir Charles Long. King Edward VII oversaw a partial redecoration in a Belle Époque cream and gold colour scheme. Many smaller reception rooms are furnished in the Chinese regency style with furniture and fittings brought from the Royal Pavilion at Brighton and from Carlton House. 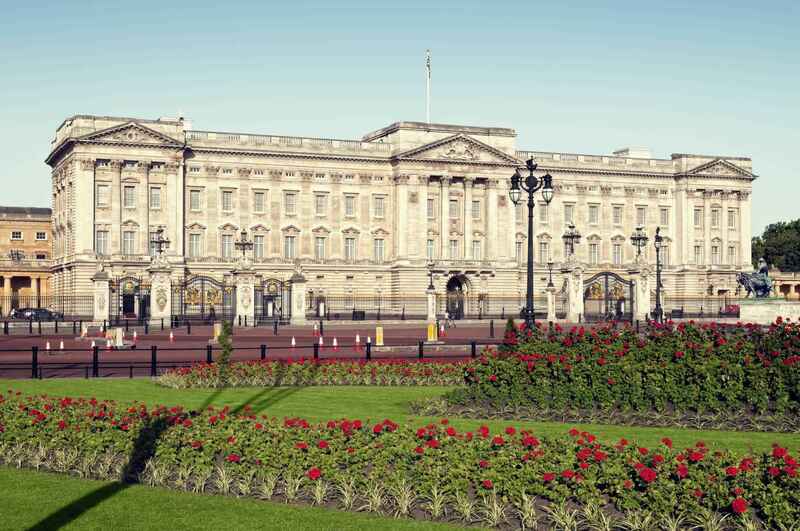 The palace has 775 rooms, and the garden is the largest private garden in London. The state rooms, used for official and state entertaining, are open to the public each year for most of August and September, and on some days in winter and spring. The palace measures 108 metres (354 ft) by 120 metres (390 ft), is 24 metres (79 ft) high and contains over 77,000 m2 (830,000 sq ft) of floorspace. 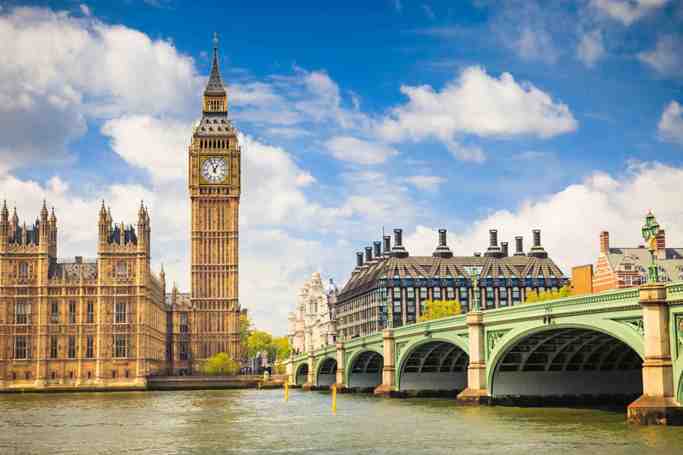 The floor area is smaller than the Royal Palace of Madrid, the Papal Palace and Quirinal Palace in Rome, the Louvre in Paris, the Hofburg Palace in Vienna, and the Forbidden City. There are 775 rooms, including 19 state rooms, 52 principal bedrooms, 188 staff bedrooms, 92 offices, and 78 bathrooms. The palace also has its own post office, cinema, swimming pool, doctor's surgery, and jeweller's workshop. 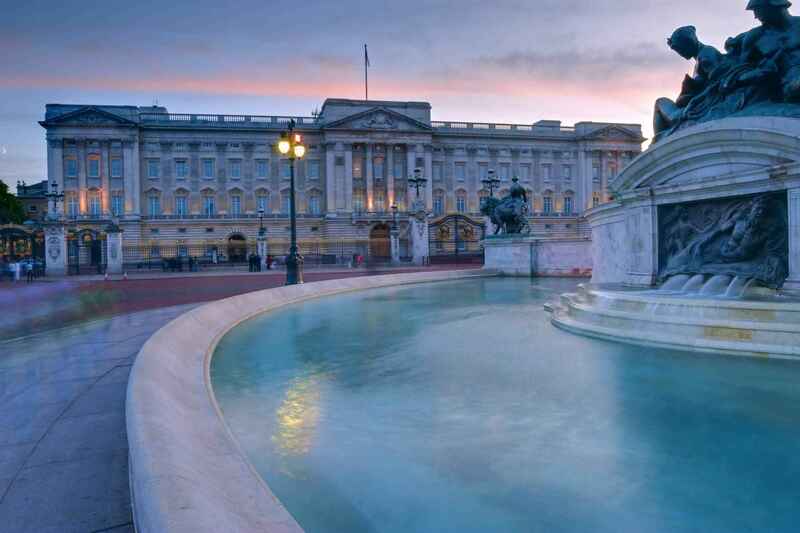 Buckingham Palace | eTips Inc.